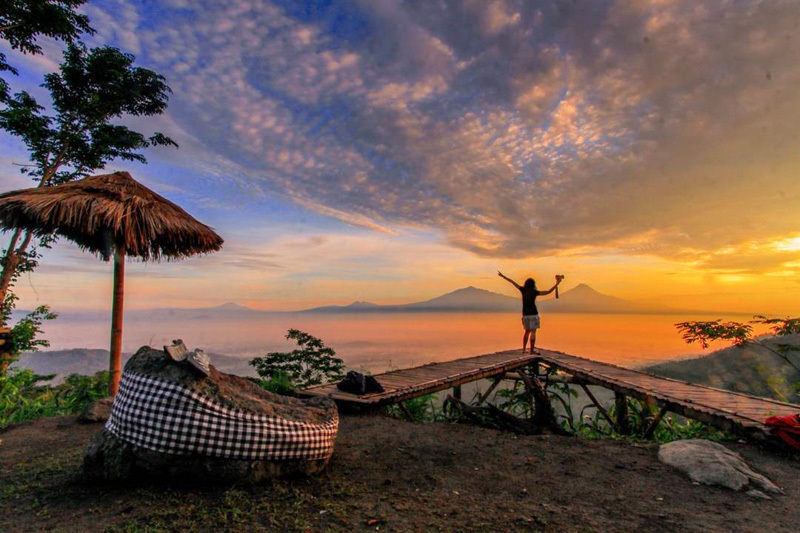 Indonesia > Yogyakarta > 12 Hidden natural attractions in Magelang with spectacular views of mountains, valleys, rainforests and waterfalls! 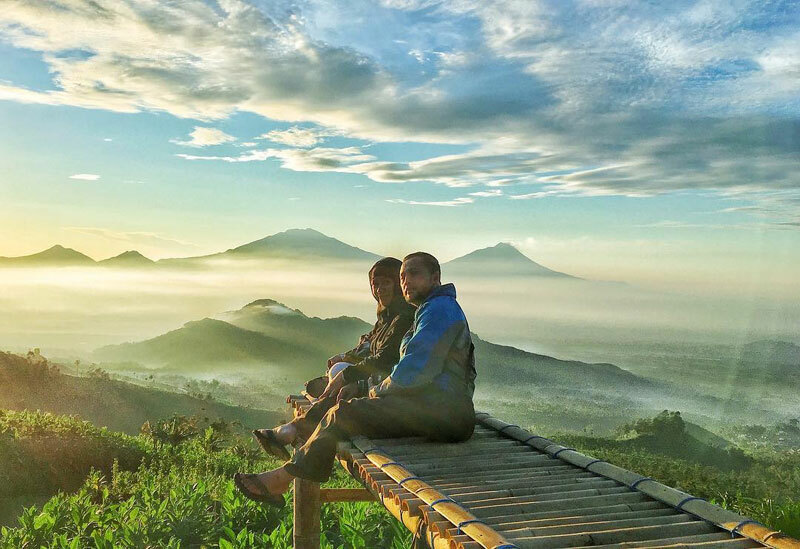 Did you know, that 2 hours from the city of Yogyakarta, you can find scenic landscapes that are still undiscovered? And these are near the famous Borobudur Temple! 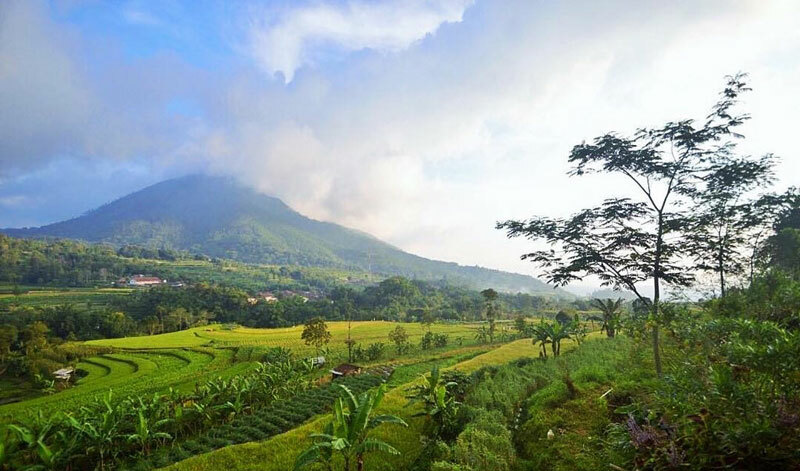 Welcome to Magelang, a little paradise for nature-lovers, with evocative panoramas, untouched lands and diverse habitats; we came to realise that this little town could be considered as an unspoiled destination in Indonesia. 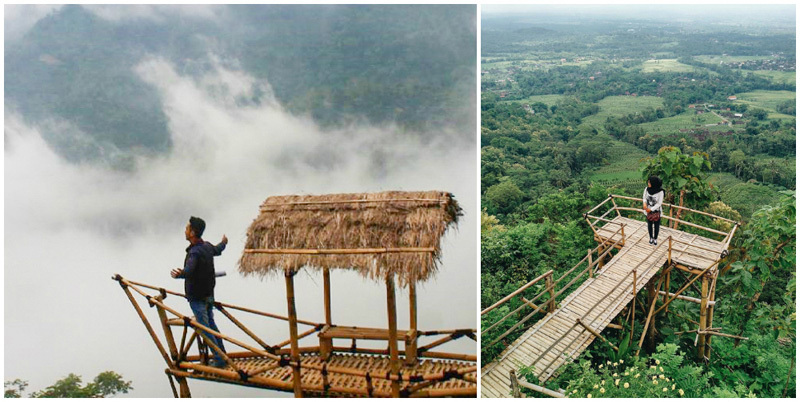 So adventurers and nature lovers, here’s where you must escape to if you are craving for a break from city life! 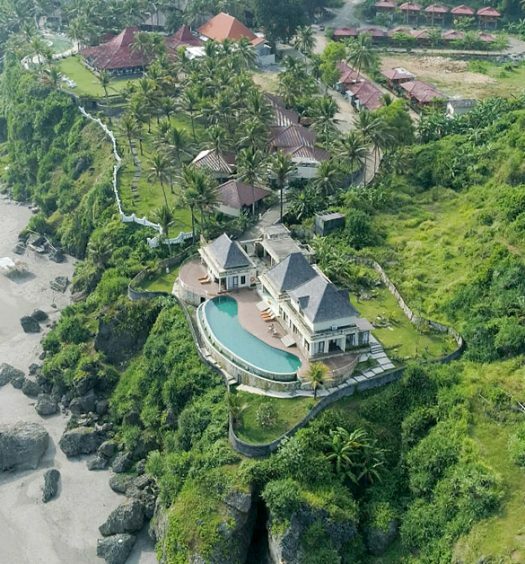 Unsure of how to get from Yogyakarta to Magelang and its surroundings? We highly recommend getting a car rental (be it with a driver or self-drive), so you can drive through scenic roads along the way! As there were 5 of us, we opted for a family car from TRAC and never regretted it! 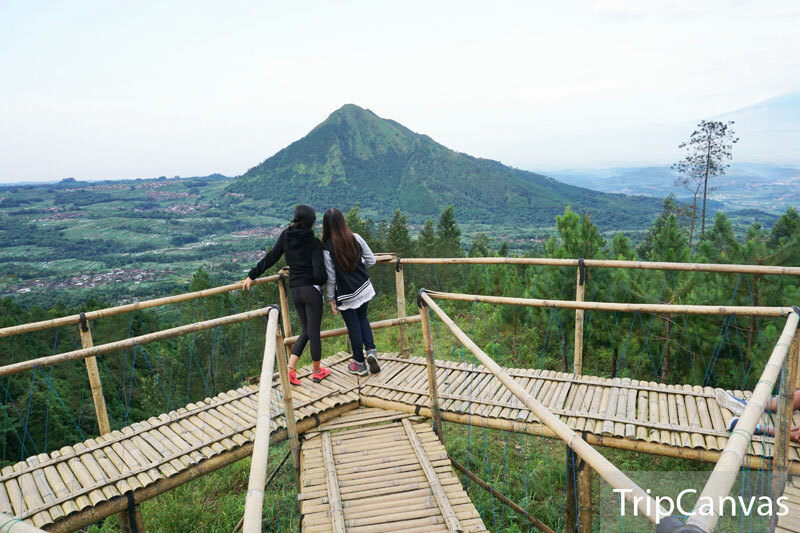 We felt comfortable and secure even when exploring Magelang’s natural attractions (those with reasonable roads, of course). All of our luggage fitted in perfectly too! 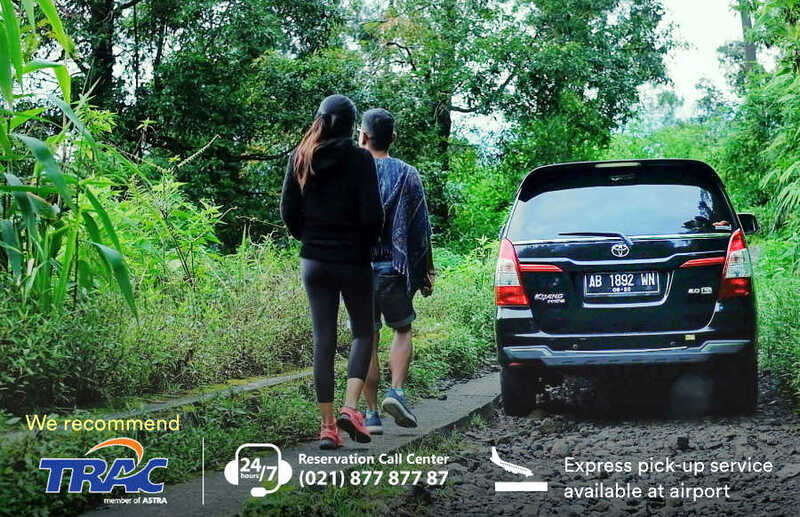 Car rental rates start from Rp. 550,000 per day for a Toyota Avanza (approximately USD$40), not including fuel cost. NOTE: It is important to apply for an international driving license (in the country where your driving license was issued) prior to driving in Indonesia. Procedures are usually simple and just require some paperwork and a few processing days (depending on your country). NOTE: We recommend making a call for a faster reply and better reservation experience. A ball of fire; this is what we enjoyed at Punthuk Setumbu and it does not require any hiking! Go up a few flights of stairs and you’ll reach the viewpoint. The sky turned from pitch dark to a purple glow, followed by a burst of orange; it was simply magical! 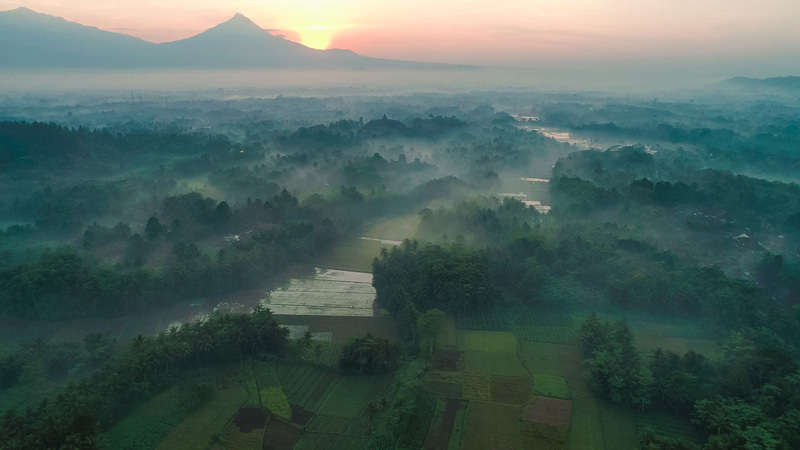 As the sun rose, the morning rays hit the surrounding forest, streaming through the trees with the majestic mountains in the backdrop and a sight of Borobudur Temple, among a sea of clouds. Isn’t this just magnificent? P.S. 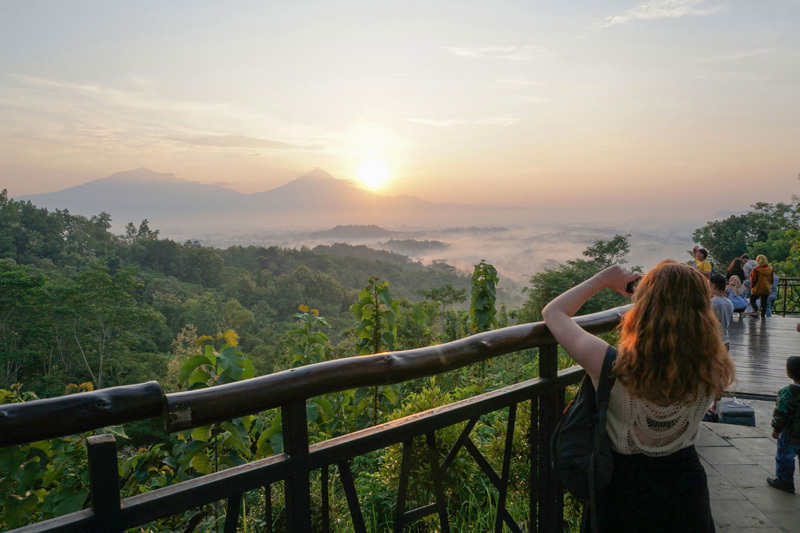 Be prepared to fight your way (and your camera) through the crowd as this is a very popular sunrise spot! 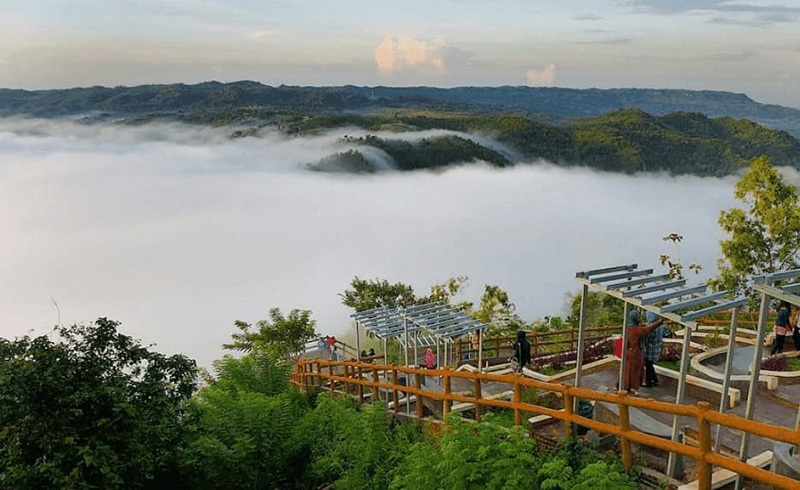 You don’t need to be a thrill-seeker or an outdoor sports enthusiast to explore the lesser-known sunrise viewpoint at Bukit Barede. 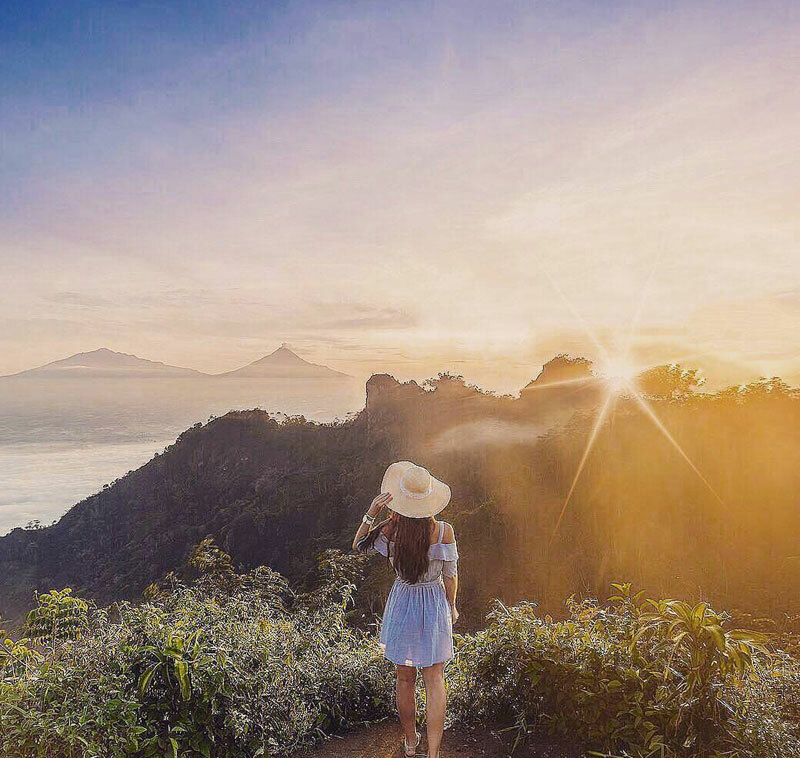 Besides escaping the crowds that gather at other common sunrise spots, your short 5-minute hike up (from the parking) to Bukit Barede does lets you satisfy your thirst for adventure and a grand nature escape with a lookout to Borobudur Temple. 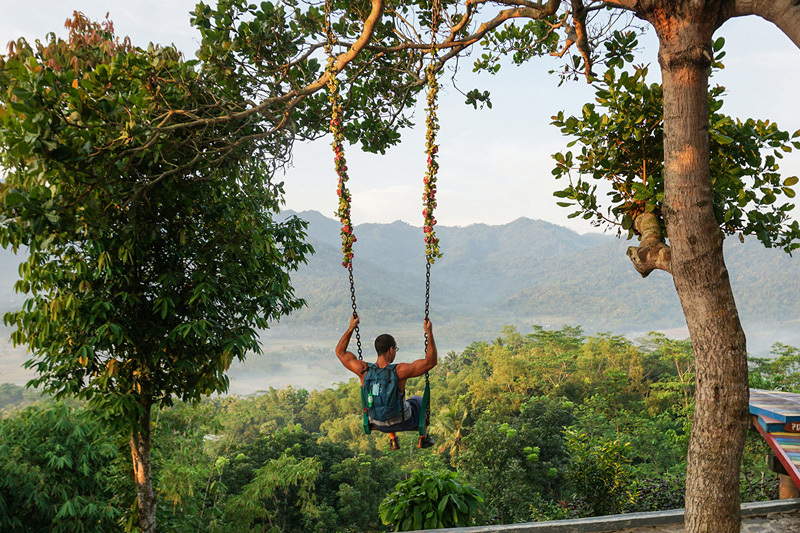 Come early and enjoy VIP seats on the treetop and soak in the beautiful vistas of the surroundings while the sun rays gently pierce through the trees – an award-winning show from Mother Nature! The spot has been gaining lots of attention lately and has attracted several foreign visitors in quest of natural beauty away from big crowds, so before the flock moves here, you better be fast! 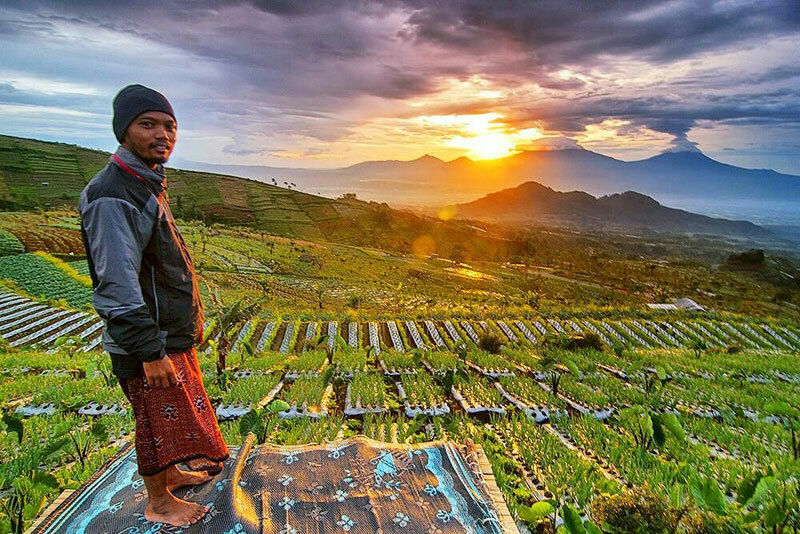 You don’t need to hike up the mountain to catch this awe-inspiring sunrise view from above. 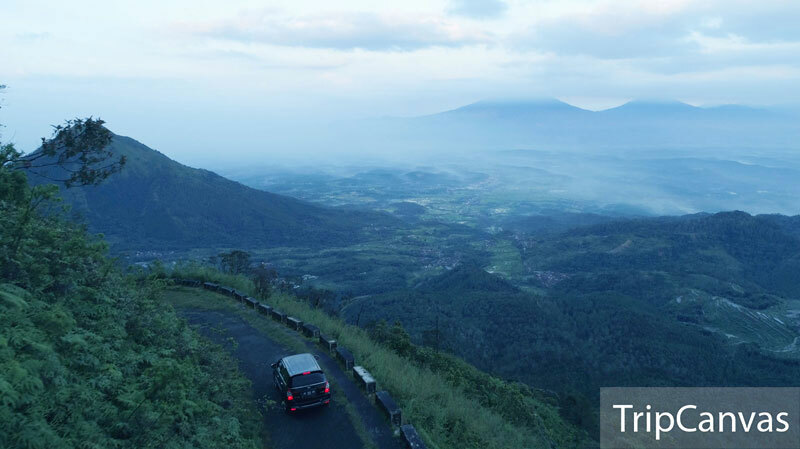 We experienced the beauty of Central Java in half-light by driving up Mount Telomoyo. But we have to confess – the drive up to this view was challenging due to the road conditions. We had to get down from the car a few times, but we made it right in time for sunrise. It takes around an hour to get to the summit, depending on your driving capabilities. Make sure you choose the right type of car if you are planning to drive up Mount Telomoyo (roads can be pretty bad) and remember to pack sweaters as it gets quite cold on the peak! Do you love to hike for the view or do you simply love the journey itself? 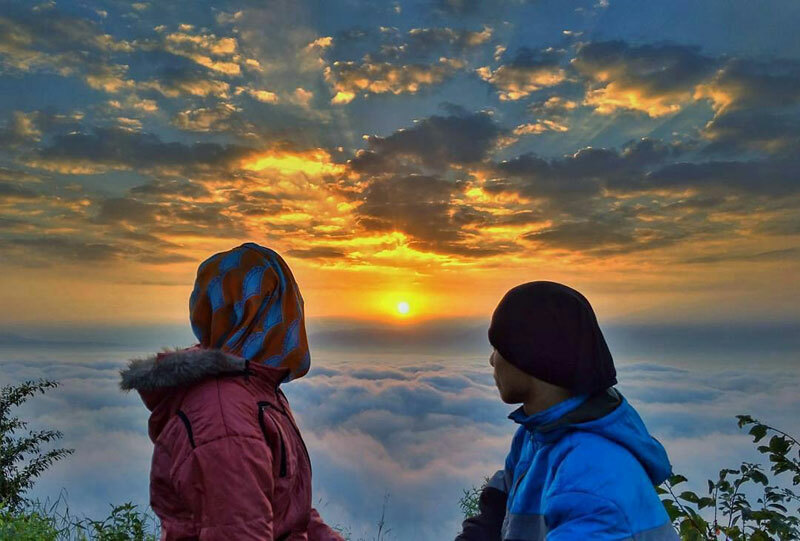 Mount Andong is suitable for both types of hikers. The hike was a little tough for us (or perhaps we are a group of unfit wanderers! ), with rocky terrains and you might have to climb on your hands and feet at some point, so be sure everyone from your group is fit enough to do so! 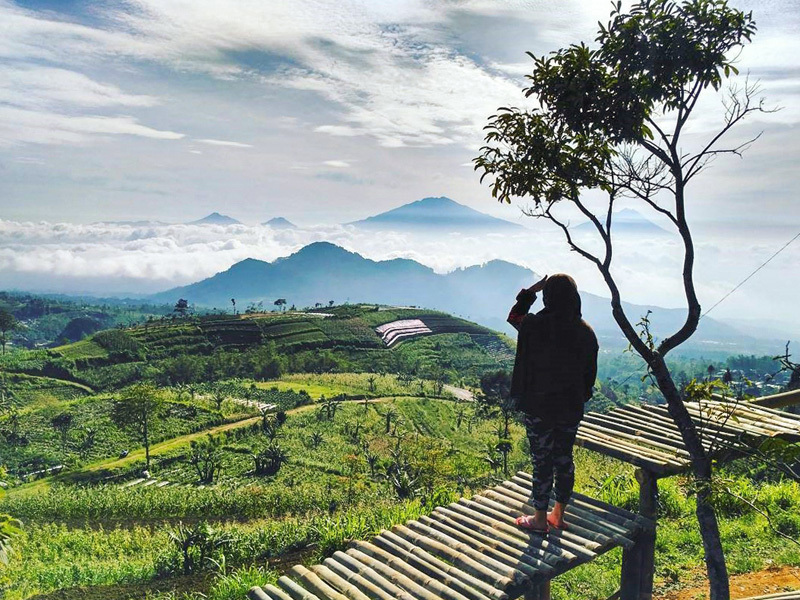 Although there are three rest areas before reaching the peak, we were exhausted when we reached the summit, but the climb was completely worth it – we were greeted with spectacular views of sea of clouds, vast rice paddy fields, and at least 5 nearby mountain ranges! We took more than one-hour to reach the top, which was packed with campers who had come to spend the night and catch the sunrise the next day. If you wish to catch the sunrise at the summit, we recommend an overnight stay too, as it’s too dangerous to climb in the dark. 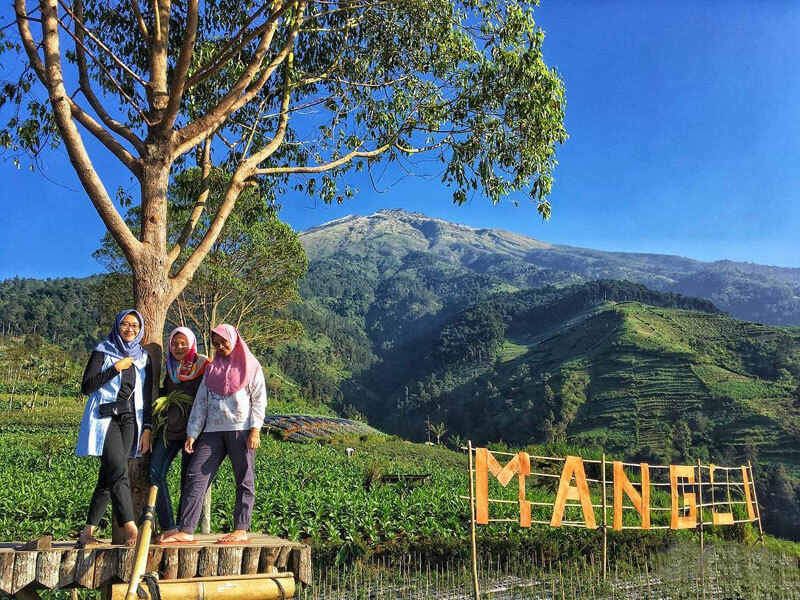 Explore the lands of a local plantation to access to the viewpoint of Gardu Pandang Mangli – the area is surrounded by wonderful landscapes with mountains guarding from afar. 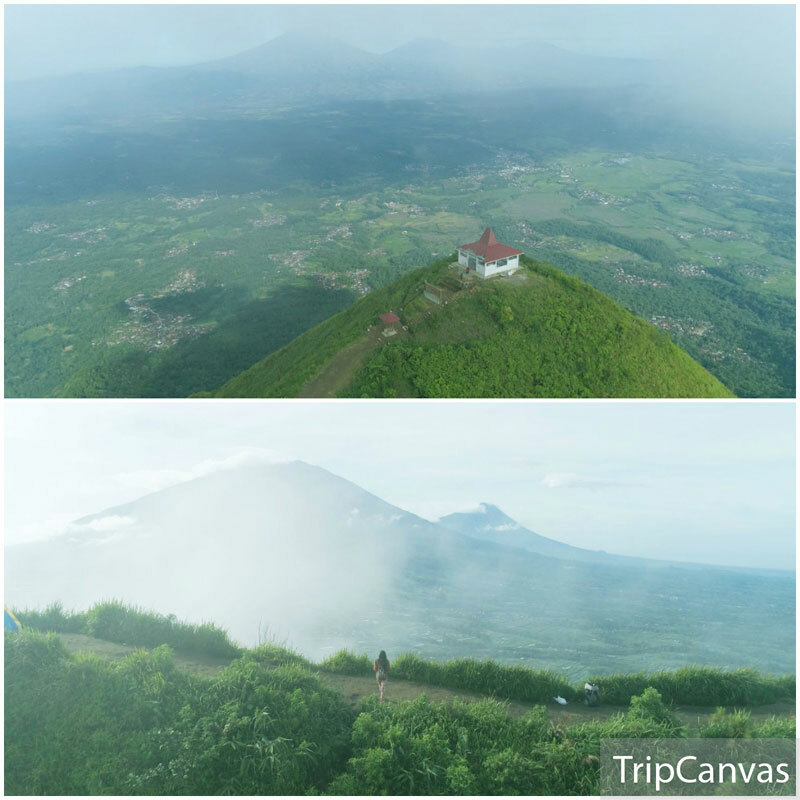 The unobstructed views offered are mesmerizing, you can look out to 4 peaks – Mounts Merapi, Merbabu, Andong and Telomoyo. 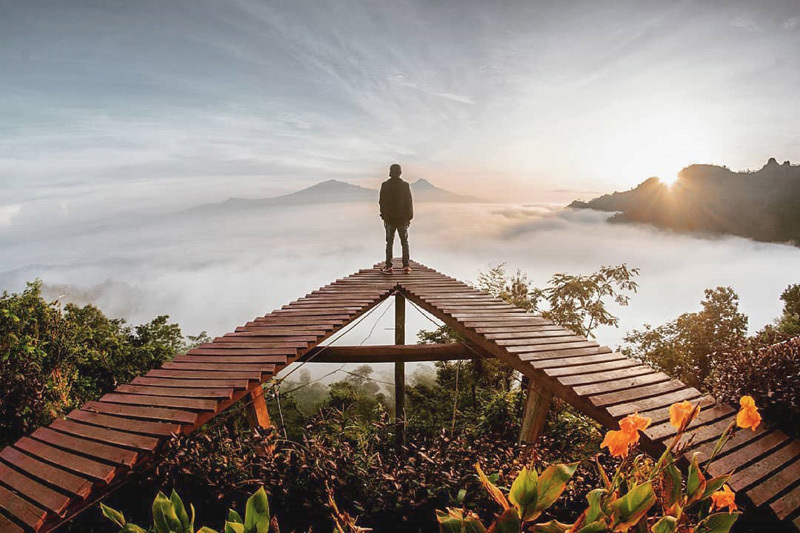 On clear mornings, you can witness a magical phenomenon where only the mountain peaks seem visible, giving the impression that they are floating among the clouds, like islands in the ocean! 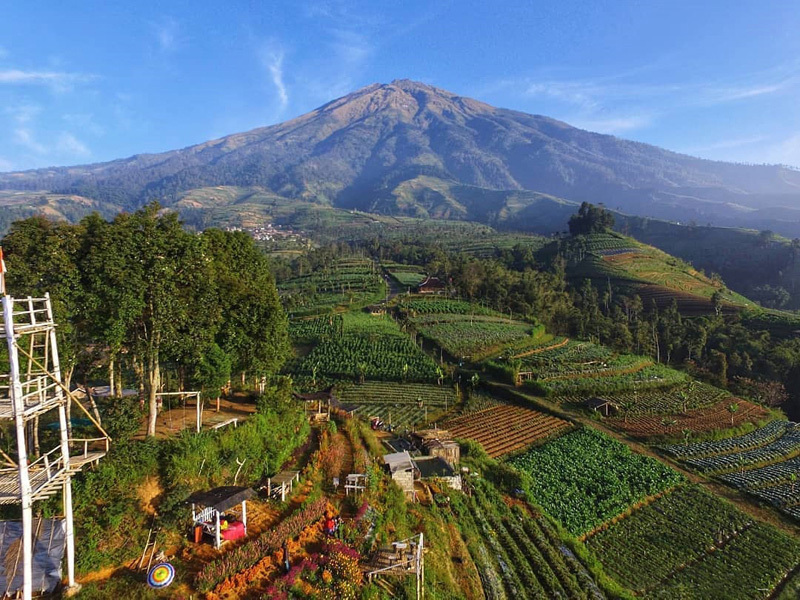 What can be more therapeutic than just sitting at the platforms to relax and enjoy the magnificent views, surrounded by strawberry fields and other vegetables and fruit plantations? 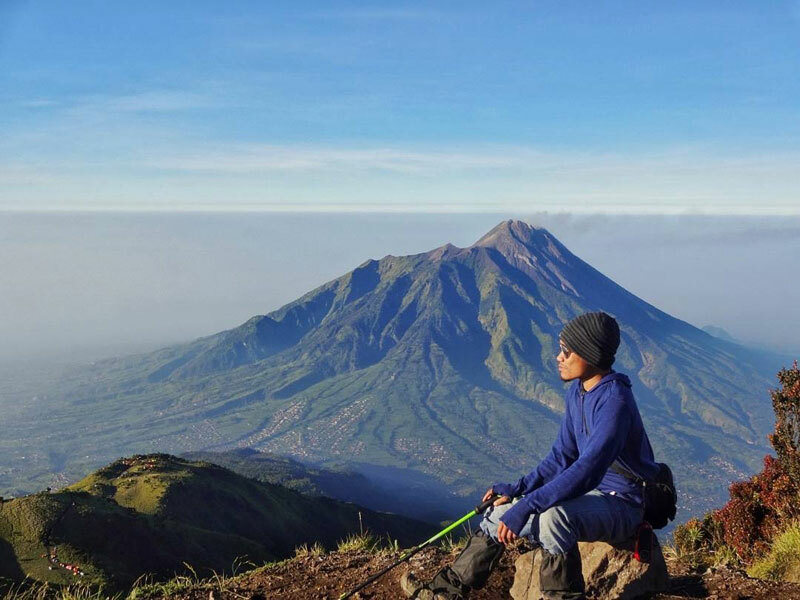 Since the walk up to the top is not tiring, rest assured as the views are sure to take your breath away! 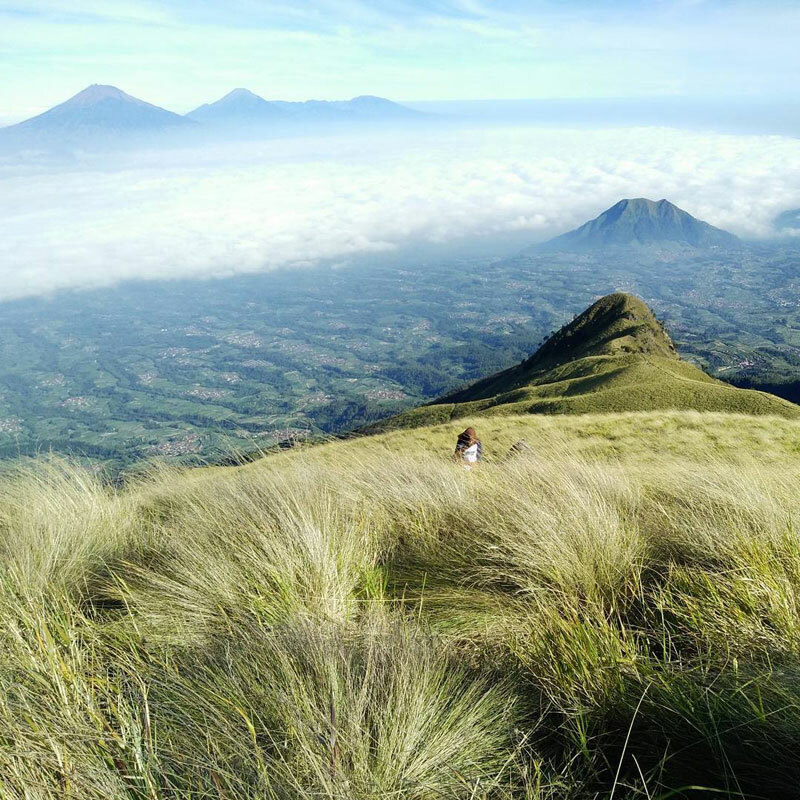 Endless hills of untouched beauty – this is how we would describe Puncak Suwanting as it looks just like the ones from Teletubbies! 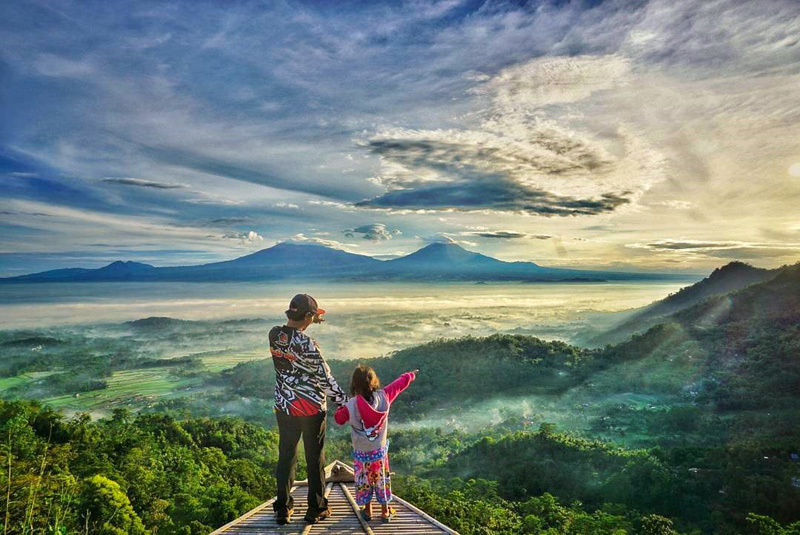 Only that unlike Teletubbies Hill in Bali, here, you get to bask in a marvellous view of a sea of clouds from up high! The challenging trail brings you through muddy slippery paths surrounded by lush greenery, and though the trails are particularly treacherous during the rainy season, the views more than make up for it once you reach the expansive terrains of the well-manicured lawn! Do pack warm and waterproof clothes, and cross your fingers for good visibility to take in the classical ballet show of the clouds; gently sliding through, dressed all-white and elegant! 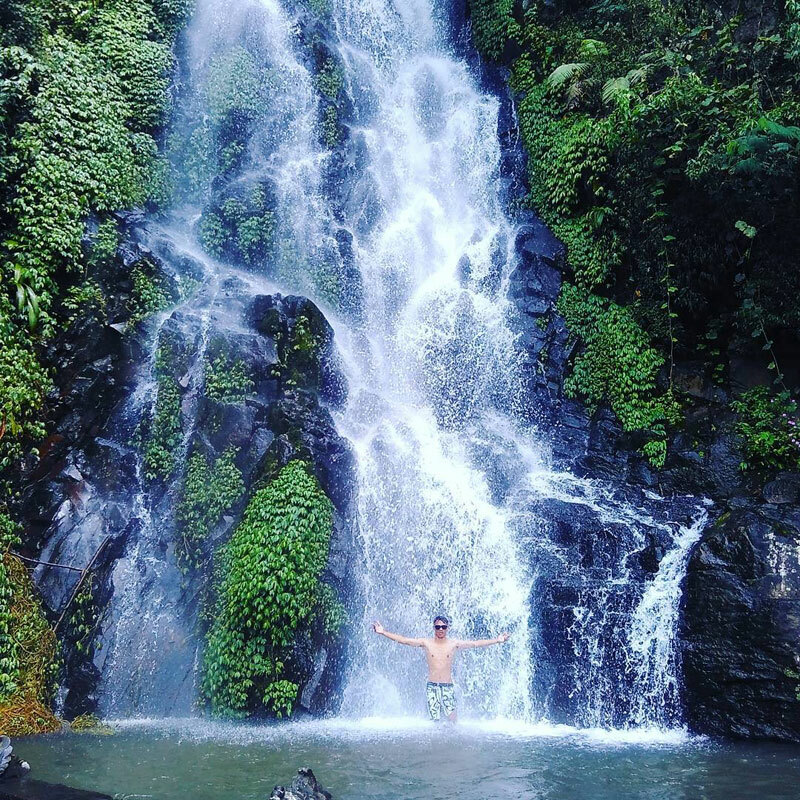 Here is an outdoor swimming spot you can enjoy after catching the sunrise at Mount Telomoyo as the waterfall is located just right down at the slope of the mountain. 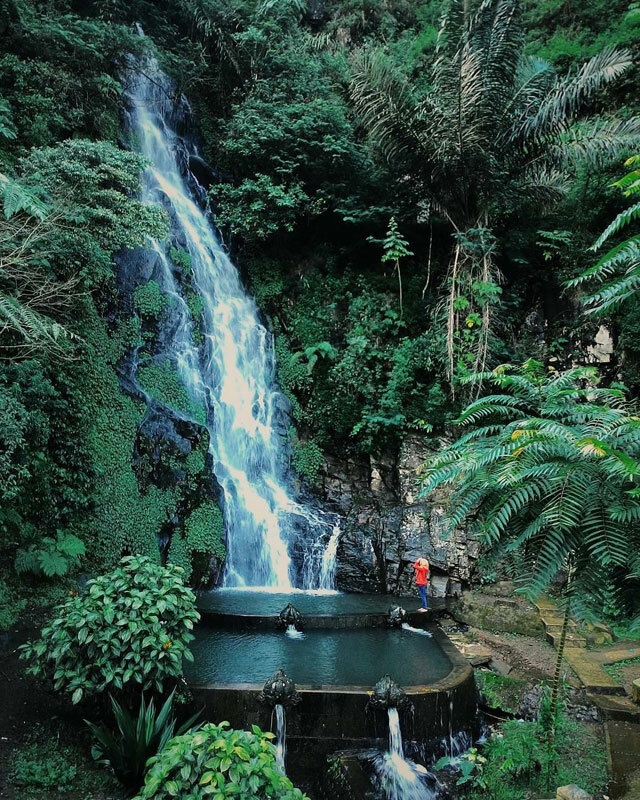 The way down to the waterfall tends to be slippery with a dirt path track and often quite challenging (especially during the rainy season), but to see this dramatic flow of water streaming down from 35 metres high, we nature lovers would do that anytime! 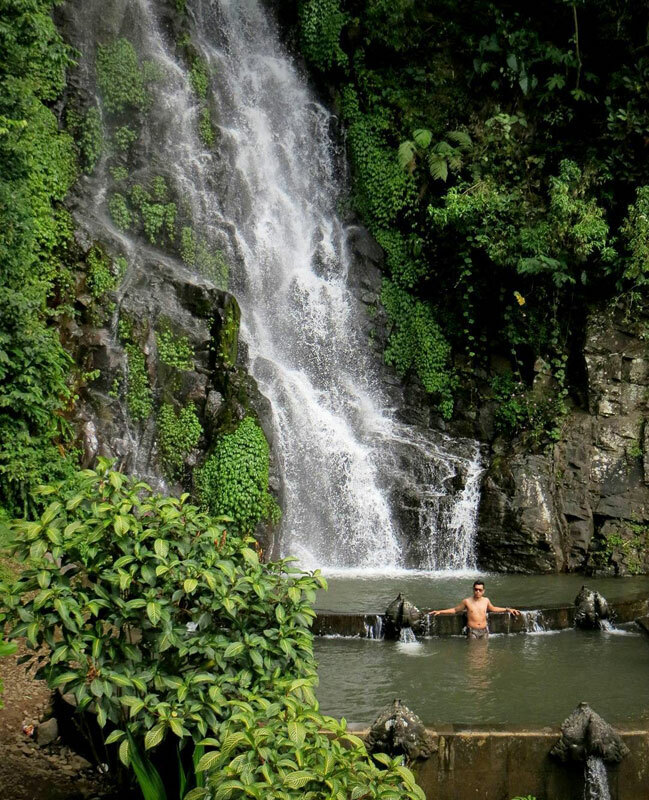 Flowing from Mount Telomoyo, the waterfall still retains a natural feel even though ponds have been constructed at its mouth. However, the ponds are the real draw for visitors as adults and kids can enjoy a refreshing dip in its fresh mountain water. Trust us, you will be glad to jump in to cool off after the effort it takes to get there! 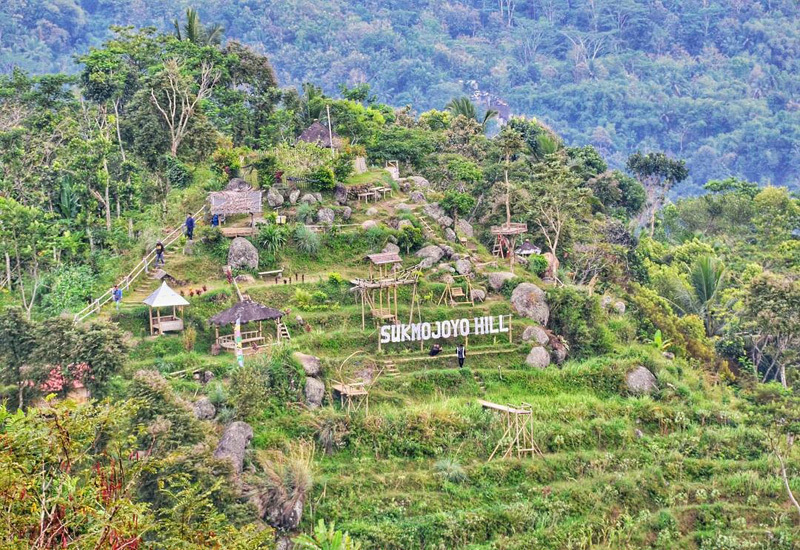 If you too, are on a mission to catch sunrises and seas of clouds around Indonesia, you need to drop by Sukmojoyo Hill. So set that 4am alarm clock and get out of bed! There are two parking areas once at the hill, but we recommend choosing the second one, so as to walk for a shorter distance! There are a few platforms on the hill, but go for the highest one (with better views!) or simply stick to where it is less crowded! What you’ll witness from the top will be nothing short of breathtaking. 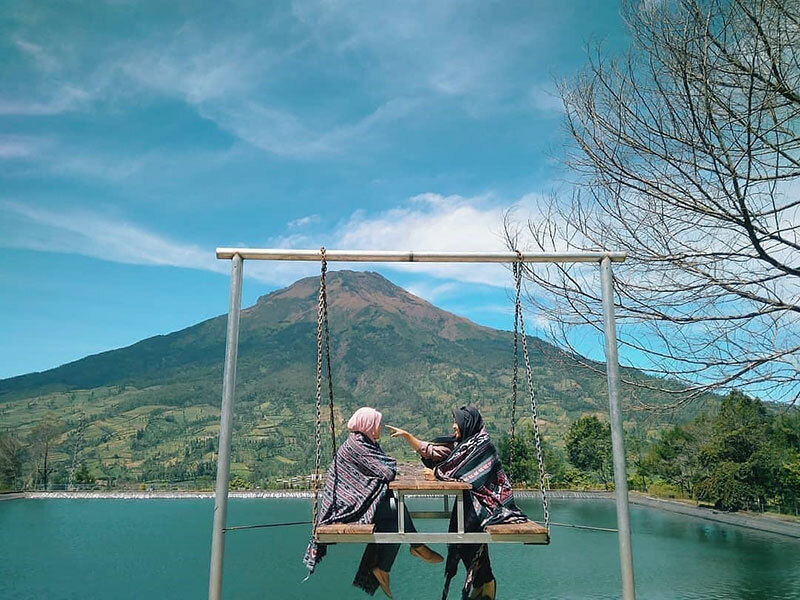 Set among beautiful gardens of flowers and fields of young strawberries, this scenic viewpoint in Magelang offers a beautiful panorama of Mount Sumbing, outlined by the city from afar. 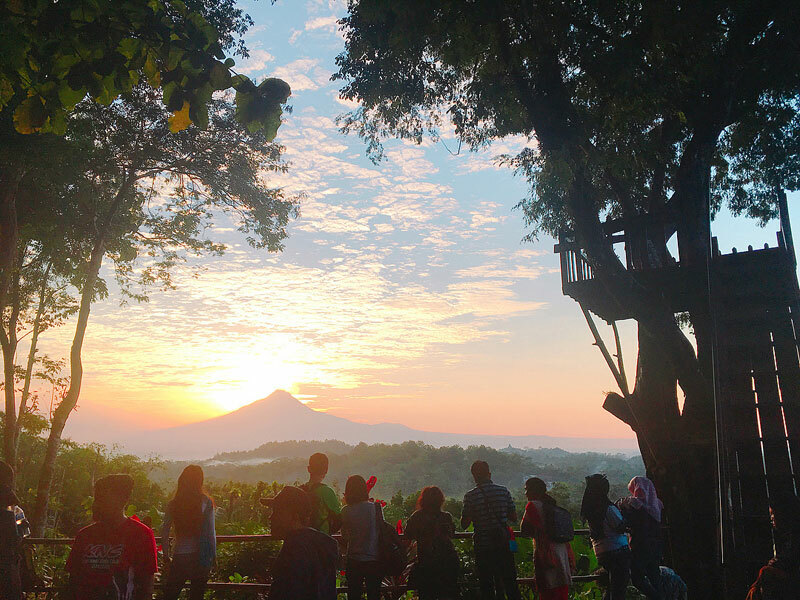 Enjoy unobstructed views of the sun rising and clouds dancing from the tower platform – an initiative built by the local villagers! 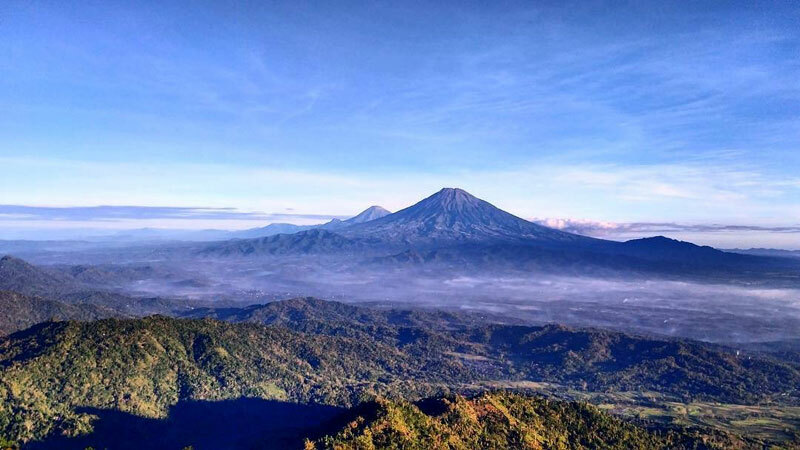 From atop, you can even catch a glimpse of Mount Merapi and Mount Merbabu. And with layers of clouds surrounding the majestic mountains, you might almost think that the mountains are islands above the open ocean! Reaching the viewpoint doesn’t require a trek but rather a smooth short walk; stairs are also provided if you wish to get to the platform (highly recommended for better views and pictures!). 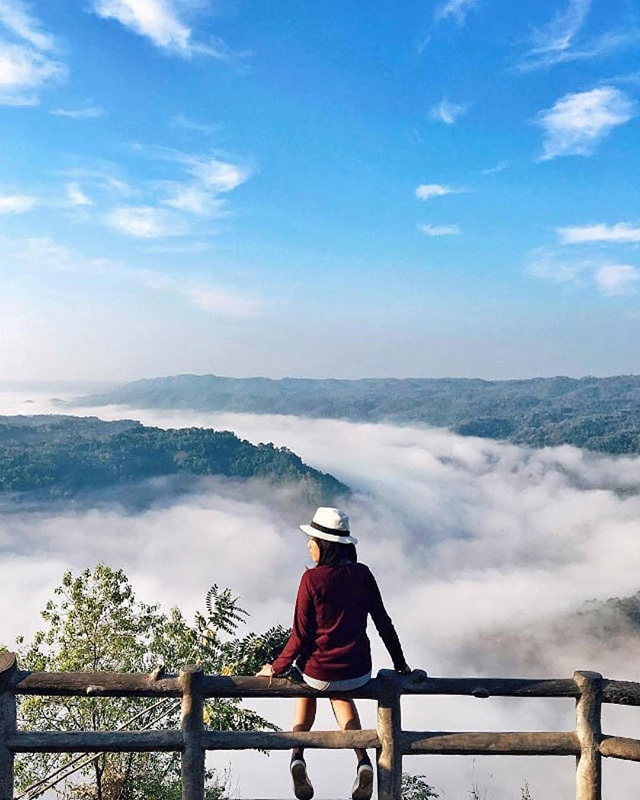 The experience at Punthuk Mongkrong is out-of-this-world – you’ll find it hard to convince yourself that this is not heaven as you marvel at a grand ocean of clouds below you! 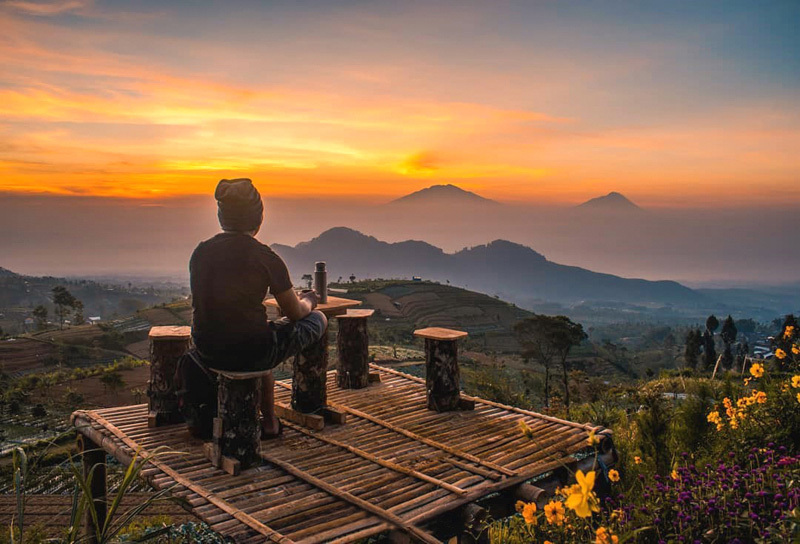 The ever-changing coloured sky complements this phenomenon, as you sit and feel like angels in the fluffy clouds, guarded by the surrounding mountain range. 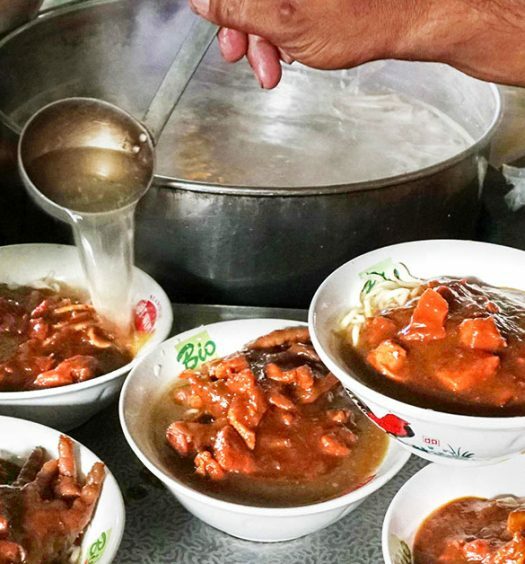 Punthuk Mongkrong is slowly gaining attention among visitors so who knows, soon you might even need to camp there to secure a good spot! So even if watching the sunrise and sea of clouds require an early morning wake up call, remind yourself that it is totally worth it – those purples, pinks and yellows piercing through the clouds while the sun aligns! 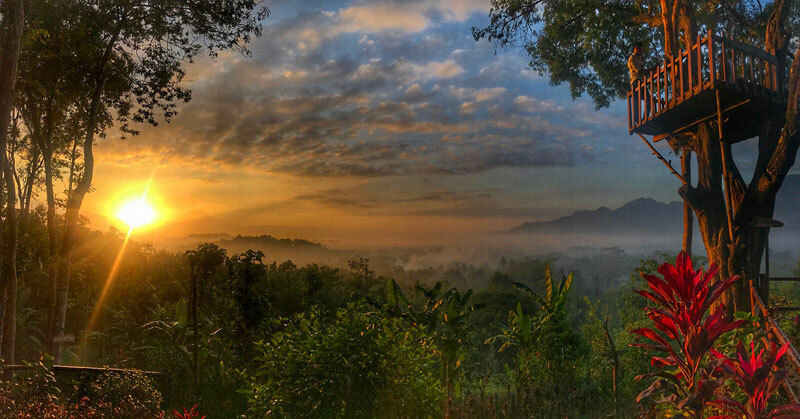 Ah, we wish the sun rose multiple times a day just so we can witness it anytime! 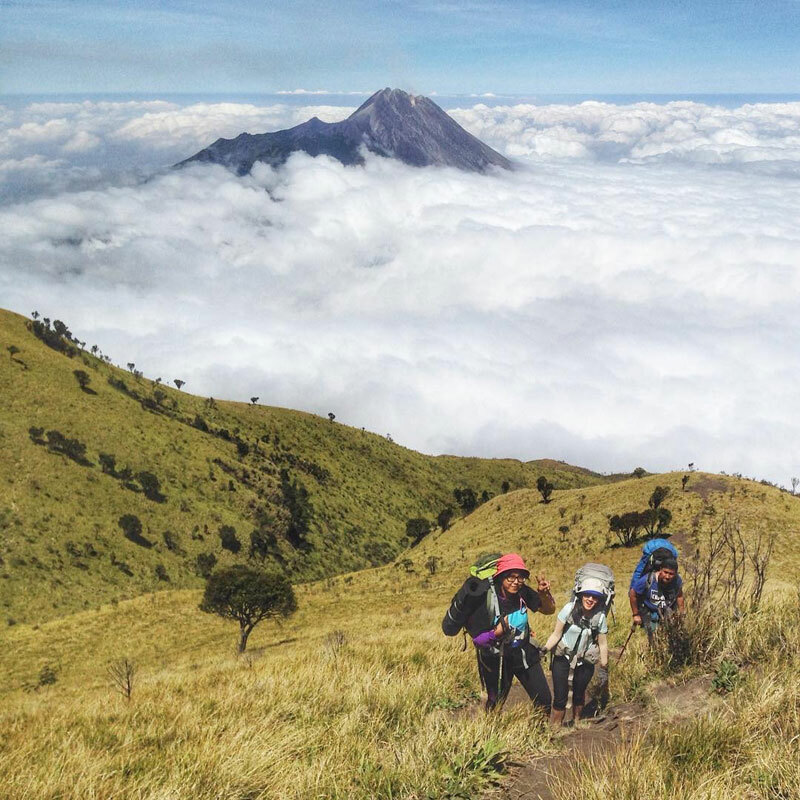 A thrilling journey, a few sharp turns and steep slopes will lead you to the highest peak of the Menoreh mountain range – Suroloyo Peak. 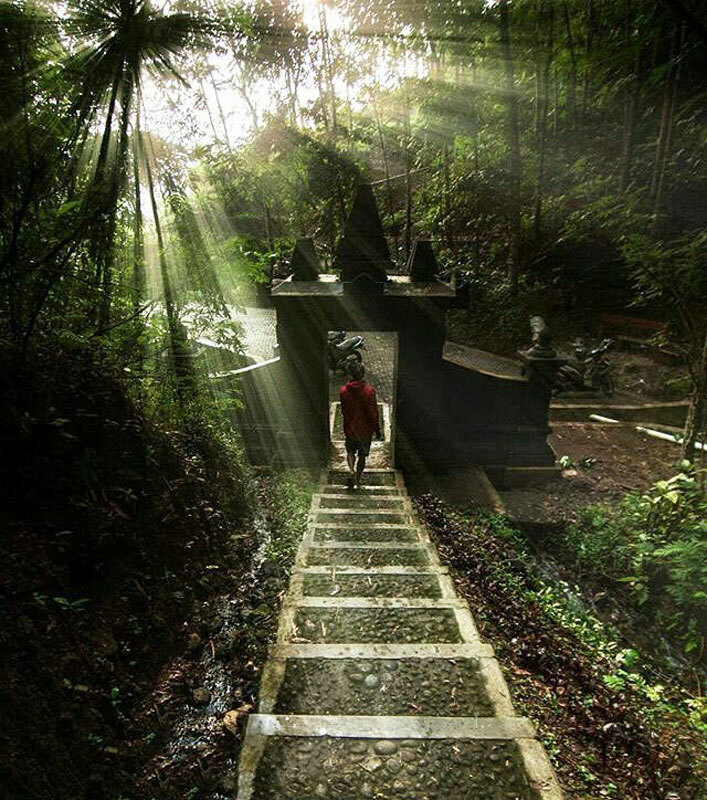 Time to swap flip-flops for walking shoes as you will need to climb a series of stairs to reach this peak (more than 200 steps!). The adventure is not recommended for the faint-hearted but the reward at the top is completely worth it. With lush green surroundings dotted with a few wildflowers, this is indeed a beautiful journey! 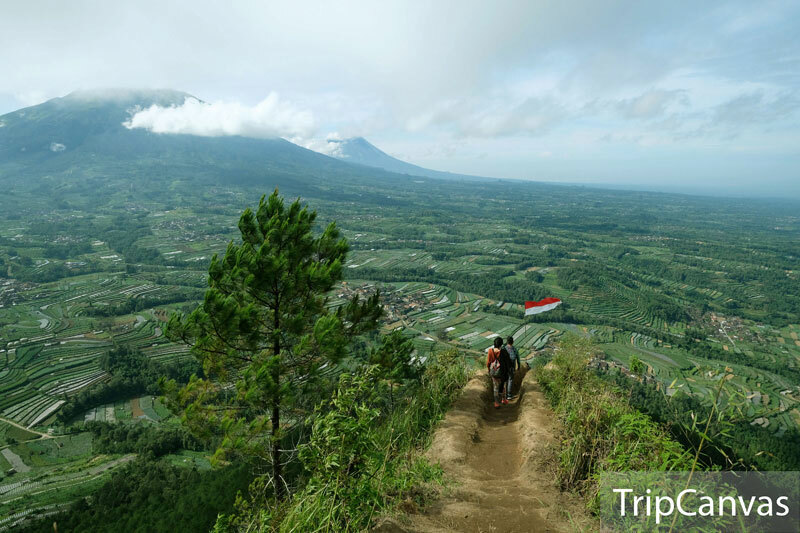 What is Indonesia without its mountains and volcanoes, and what is a trip there if you don’t spend some time hiking? 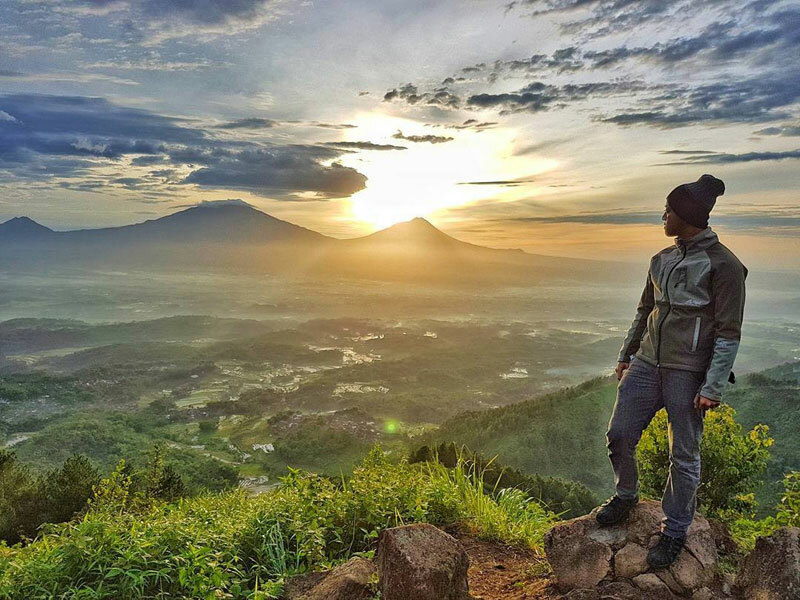 Explore Gunung Giyanti, a lesser-known hill located at the foot of Mount Sumbing. 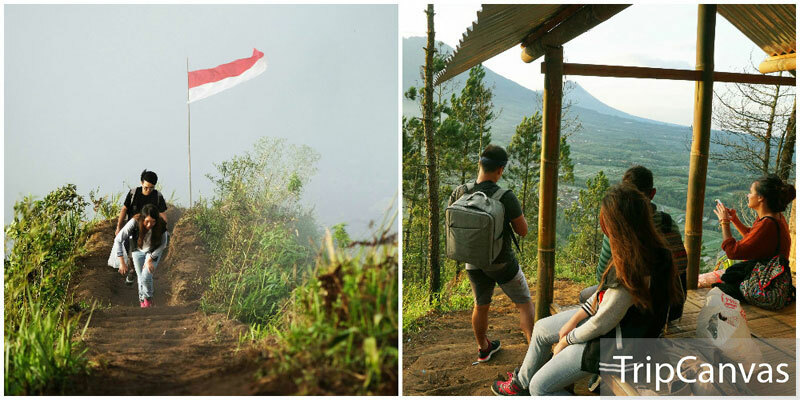 Along the way, you will find several signages to guide you to Gunung Giyanti, so don’t worry! 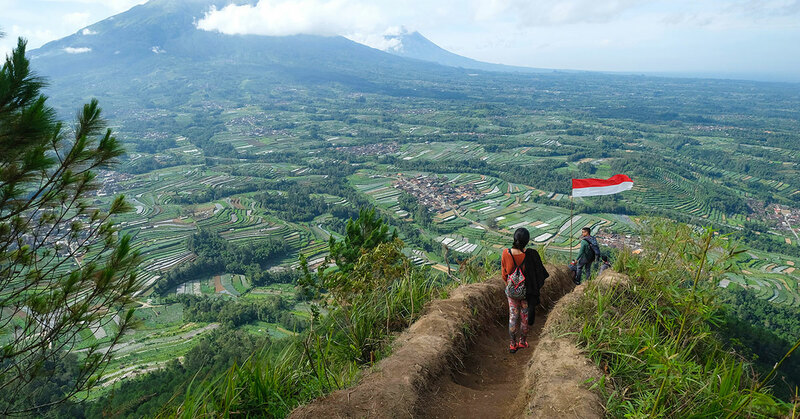 A one-hour hike is required before you can reach the top of Gunung Giyanti, and you can even spot toddlers taking up the challenge! You are recommended to wear comfortable sport shoes as the track gets slippery! 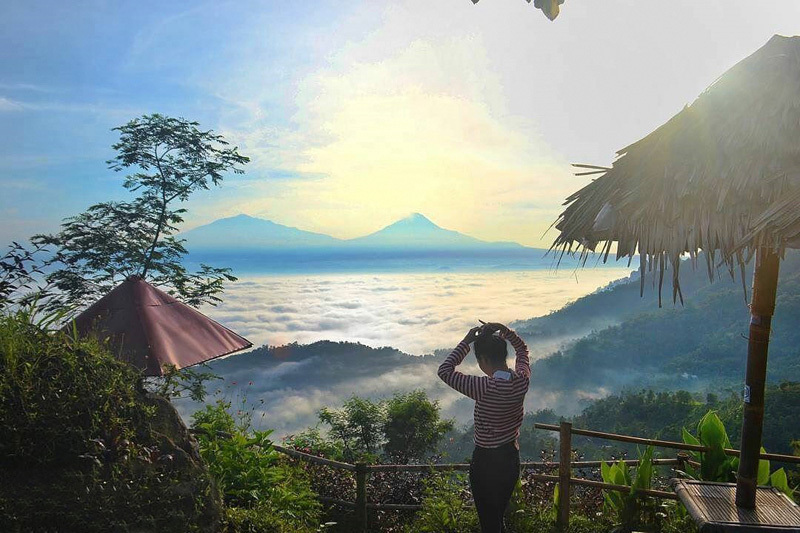 The view from the top is simple magical; be there early at sunrise and get transported to heaven, as though you are floating on the clouds! What a reward for the early alarm clock! 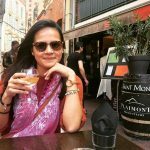 Always dreamt of visiting the magnificent scenery of Lake Como in Italy? 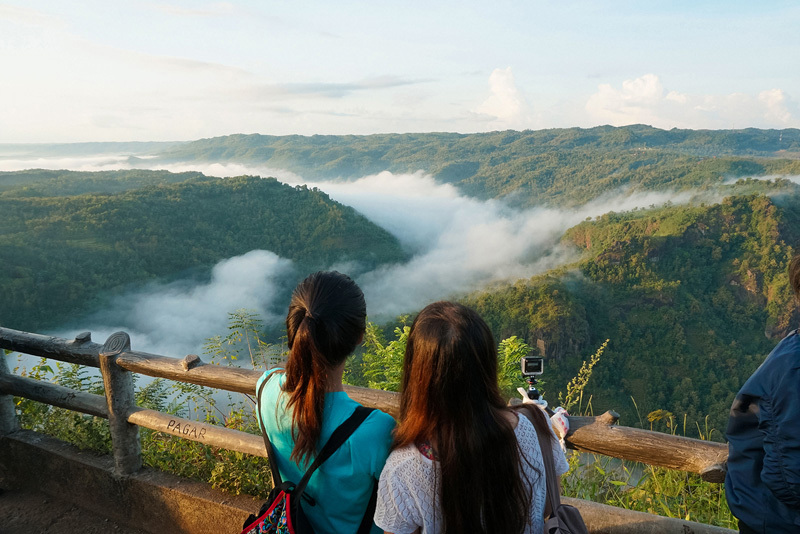 You’ll be glad to know that you won’t need to leave Southeast Asia to enjoy such enchanting views! 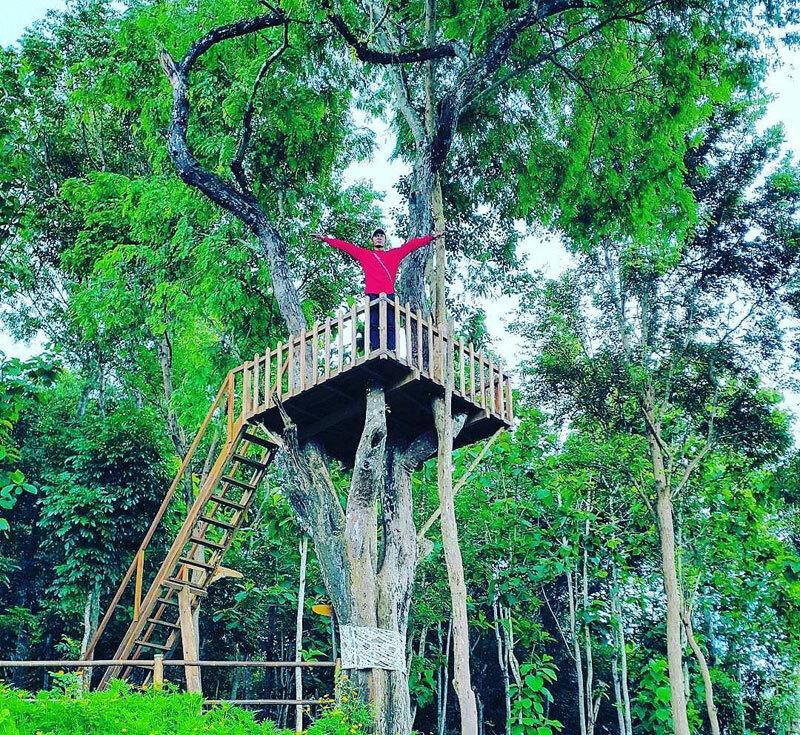 Besides being super Instagrammable, Embung Kledung is the perfect place when you need to relax! 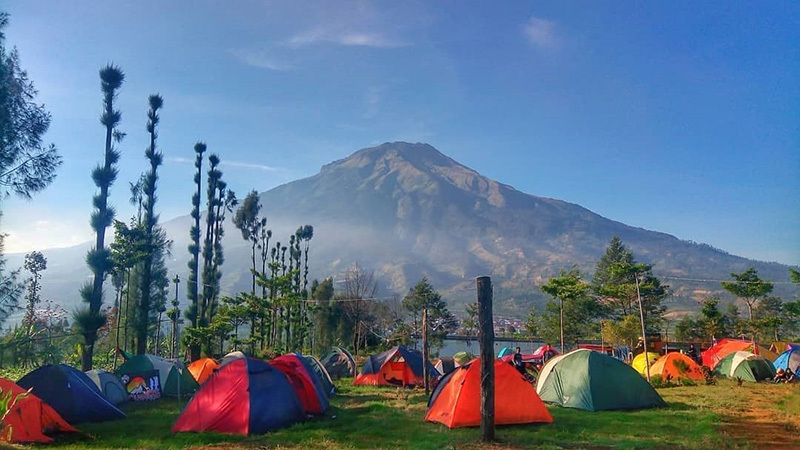 This lake offers spectacular views of the nearby Mount Sindoro and Mount Sumbing. While the 3-metre-deep man-made reservoir is not 100% natural (it was previously built to overcome water shortages), the views you get to enjoy are pure natural wonders with mountain ranges resting in the background. 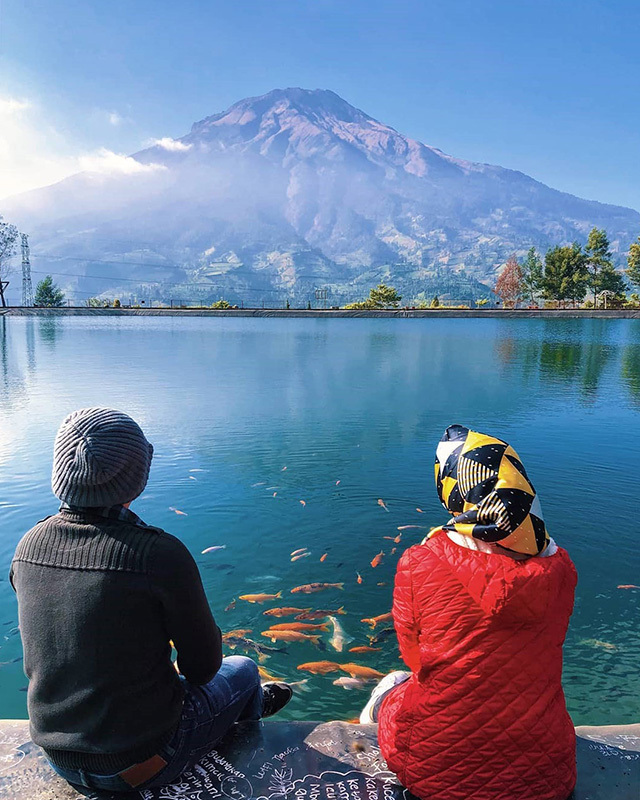 Drop by early in the morning to enjoy clear skies and unobstructed views of the mountains; you’ll be happy to get going with your photography habits while the Koi fishes swim to the edge of the reservoir for their breakfast feast! 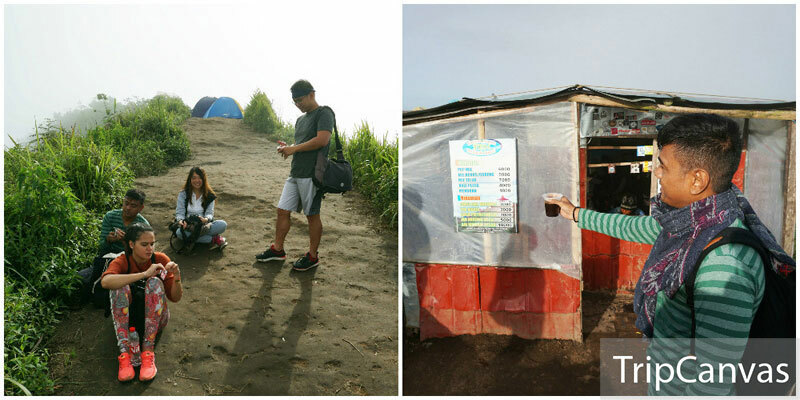 The crisp morning air, your breakfast packed and you are ready to witness a beautiful natural phenomenon in Yogyakarta! Set on the highlands of Imogiri, come early to bask in a river of floating clouds. 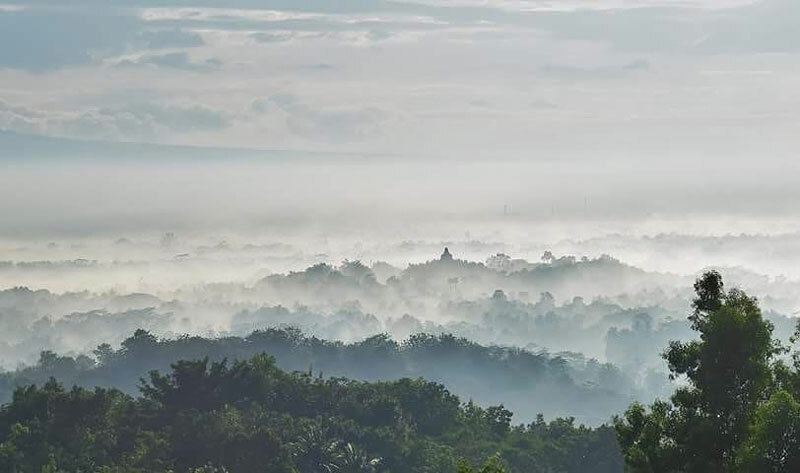 This magical phenomenon only occurs in the morning while the temperature is still cool – the clouds appear to be flowing in the form of a river while they move in the direction of the wind. Avoid visiting during the weekend or on public holidays – we had to fight our way through the crowd to get a front-row view of the sensational scenery. 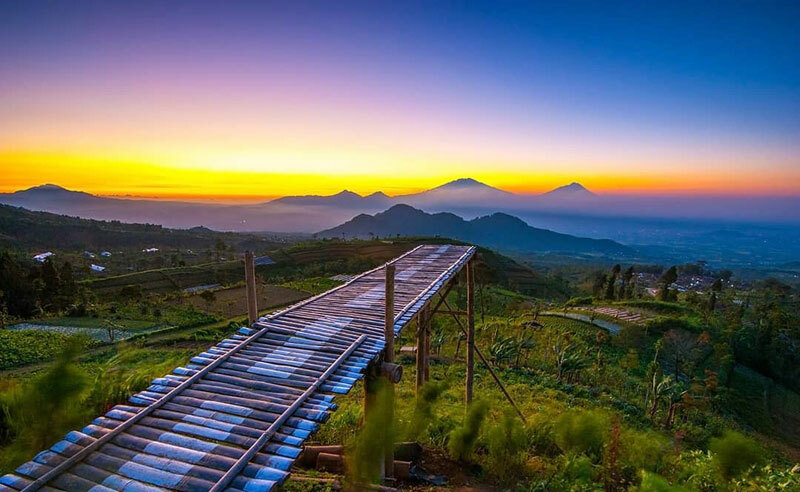 Ready to discover the gorgeous natural scenery Magelang has to offer, just a 2-hour drive from Yogyakarta? It’s all fun to get dirty and sweaty before dipping in a refreshing waterfall or marvelling at the dramatic landscape from up high! Tag your adventure partner below to plan your next trip!